Need help now? Start below. Oregon Energy Fund provides funds for energy assistance to 30+ partner agencies and nonprofits throughout Oregon. If you need help paying your electric bill, enter your county or zip code below to find out who has energy assistance in your area and how to contact them. Walk-In's Allowed: Yes. However, calling ahead to set up an appointment is recommended. Remember when leaving a message to include your full name, utility account number and any disconnect or shut-off notices that are pending your account. Email Waitlist: Phone call preferred. Walk-In's Allowed: Yes; call to schedule an appointment or get more information. When leaving a message, include your full name, utility company name, utility account number and any disconnect or shut-off notices that are pending your account. 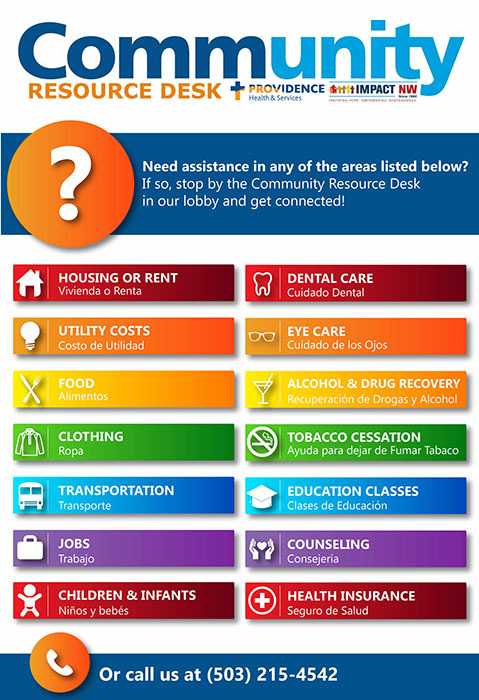 See http://communityservices.us/files/Energy_Assistance_brochure_(rev_9-4-18).pdf for more information. About Community Services Consortium - Benton County: Established in July 1980 as the state-designated community action agency for Linn, Benton, and Lincoln counties, Community Services Consortium is one of 18 community action agencies in Oregon that delivers programs designed to combat poverty and its root causes in our state. Walk-In's Allowed: No walk-ins, please call to schedule an appointment. Remember when leaving a message to include your full name, utility company name, utility account number and any disconnect or shut-off notices that are pending on your account. About Sandy Community Action Center: Sandy Community Action Center (SCAC) serves low-income people in Clackamas County. Walk-In's Allowed: Yes - SVDP staff will assign appointment times upon arrival. Please note that appointments may be later in the day or the following day. No advance appointments by phone. Appointment Required: Yes - assigned at arrival. No phone appointments. Walk-In's Allowed: Yes. If you call in advance, please remember when leaving a message to include your full name, utility company, utility account number and any disconnect or shut-off notices that are pending your account. About Clatsop Community Action: Clatsop Community Action is a non-profit agency specializing in food, housing, and energy assistance. CCA offers Information & Referral to all of the area’s human service partners to help individuals and their families in need. Walk-In's Allowed: Please call ahead to make an appointment. Remember when leaving a message to include your full name, utility company name, utility account number and any disconnect or shut-off notices that are pending on your account. Click here for more information. About Oregon Coast Community Action: Oregon Coast Community Action (OR-CCA) provides cost effective joint administration, leadership, and support for children's programs and emergency services on the Southern Oregon Coast. Walk-In's Allowed: No walk-ins; please call to schedule an appointment. Remember when leaving a message to include your full name, utility account number and any disconnect or shut-off notices that are pending your account. Walk-In's Allowed: Please call ahead to make an appointment. If leaving a message, remember to include your name, phone number, utility company/account number, and any shutoff/disconnect notices received. Click here for more information. About Oregon Coast Community Action: Oregon Coast Community Action (ORCCA) cost effective joint administration, leadership, and support for children's programs and emergency services to people in Coos and Curry Counties. Walk-In's Allowed: No walk-ins. Call the number above to make an appointment at one of five locations (Bend, Redmond, La Pine, Prineville, and Madras); remember when leaving a message to include your full name, utility company name, utility account number and any disconnect or shut-off notices that are pending on your account. About NeighborImpact - Main Office (Redmond): NeighborImpact (NI) works to change the lives of people in Crook, Deschutes, and Jefferson Counties by helping them access skills for success, family services, financial assistance, food, house, heat and energy assistance. Walk-In's Allowed: Yes (only at this location). Appointments preferred. Walk-In's Allowed: No walk-ins; please call to schedule an appointment. Remember when leaving a message to leave your name, utility company, utility account number, and any pending shutoff or disconnect notices. Walk-In's Allowed: No, please call to schedule an appointment. Please remember if leaving a message to include your full name, utility company, account number, and any shutoff or disconnect notices received. Walk-In's Allowed: No - medical emergency and disconnects only. Call ahead to make an appointment otherwise. Remember if leaving a message to include your full name, utility account number and any disconnect or shut-off notices that are pending your account. About United Community Action Network - Roseburg: UCAN provides help with utility assistance, housing, weatherization, Head Start, senior health insurance, prescriptions, budgeting, case management and transportation. We also provide food to pantries and kitchens throughout Douglas County through our Regional Food Bank. Walk-In's Allowed: No; CAPECO provides emergency assistance only. Call to make an appointment between the months of November and March. When leaving a message, make sure to include your full name, utility account number and any disconnect or shut-off notices that are pending your account. Walk-In's Allowed: No; please call ahead to make an appointment. Remember when leaving a message to include your full name, utility account number and any disconnect or shut-off notices that are pending your account. Email Waitlist: No, please call to make an appointment. If leaving a message, remember to leave your name, utility company, account number, and any pending disconnect/shutoff notices. About Harney County Senior & Community Services Center: Harney County Senior & Community Services Center (HCSCSC) works to provide services to seniors, disabled, low-income individuals and veterans of Harney County that will improve the quality of their lives. The services will enhance their independence, dignity, choice and self-sufficiency. Walk-In's Allowed: Yes - Thursdays only, 10 am - 12 pm & 1 pm - 4 pm. For all other days, please call to schedule an appointment. About Mid-Columbia Community Action Council - Hood River: Since 1966, Mid-Columbia Community Action Council, Inc.(MACCAC'S) has been working to alleviate the causes and conditions of poverty in Wasco, Hood River and Sheman Counties. Walk-In's Allowed: No, call to make an appointment. Remember if leaving a message to include your full name, utility account number and any disconnect or shut-off notices that are pending your account, and that you were referred by the Oregon Energy Fund. About Access: Since 1976, ACCESS has been providing food, housing, warmth and other essential services to Jackson County's low-income children, families seniors and people with disabilities. Walk-In's Allowed: No, Remember when leaving a message with this Oregon Energy Fund partner to include your full name, utility account number and any disconnect or shut-off notices that are pending your account. About The Salvation Army - Medford: The Salvation Army of Medford (TSA-Medford) serves low-income people in Jackson County. Walk-In's Allowed: No; please call to schedule an appointment. Please remember if leaving a message to include your full name, utility account number and any disconnect or shut-off notices that are pending your account. About United Community Action Network - Grants Pass: Since 1969, United Community Action Network (UCAN) has been committed to promoting resources and opportunities that increase the self sufficiency of all low-income families and individuals of Douglas and Josephine Counties. Walk-In's Allowed: Yes; however, appointments are preferred. Remember if leaving a message to include your full name, utility account number, and any disconnect or shut-off notices that are pending your account. About The Salvation Army - Klamath: The Salvation Army of Klamath (TSA-Klamath Falls) serves low-income people in Klamath County. Walk-In's Allowed: No walk-ins; please call or email energy@klcas.org to schedule an appointment. When leaving a message, please include your full name, utility company name, utility account number and any disconnect or shut-off notices that are pending on your account. About Klamath & Lake Community Action: Klamath & Lake Community Action Services (KLCAS) services works to improve the lives of citizens of Klamath and Lake Counties by combating the conditions and causes of poverty. KLCAS provides strategic services directly and through social alliances, empowering people to become self-reliant contributing members of Klamath and Lake Counties. Walk-In's Allowed: No walk-ins; please call or email energy@klcas.org to schedule an appointment. Remember when leaving a message to include your full name, utility account number and any disconnect or shut-off notices that are pending your account. About Catholic Community Services of Lane County (Springfield Location): Catholic Community Services of Lane County (CCSLC) offers immediate help by providing food and other assistance to anyone in need and seeks to instill hope by helping Lane County families take positive steps to move out of poverty. About Catholic Community Services of Lane County (Eugene Location): Catholic Community Services of Lane County (CCSLC) offers immediate help by providing food and other assistance to anyone in need and seeks to instill hope by helping Lane County families take positive steps to move out of poverty. Walk-In's Allowed: Yes - located upstairs in building. We recommend calling ahead to make sure funds are available; if leaving a message, include your full name, utility company name, utility account number and any disconnect or shut-off notices that are pending on your account. See http://communityservices.us/files/Energy_Assistance_brochure_(rev_9-4-18).pdf for more information. About Community Services Consortium - Lincoln County: Established in July, 1980, as the state-designated community action agency for Linn, Benton, and Lincoln counties, Community Services Consortium is one of 18 community action agencies in Oregon that delivers programs designed to combat poverty and its root causes in our state. Walk-In's Allowed: Yes, though we always recommend calling ahead to find out if funds are available. Remember if leaving a message to include your full name, utility account number and any disconnect or shut-off notices that are pending your account. See http://communityservices.us/files/Energy_Assistance_brochure_(rev_9-4-18).pdf for more information. About Community Services Consortium - Linn County: Since 1980, Community Service Consortium (CSC) delivers programs to combat poverty and its root causes for people in Linn, Benton, and Lincoln Counties. Walk-In's Allowed: No walk-ins; call the number above to schedule an appointment. Remember when leaving a message to include your full name, utility company name, utility customer account number and any disconnect or shut-off notices that are pending on your account. About Community In Action: Community in Action (CinA) exists to empower low and moderate-income individuals and families of Harney and Malheur County. Walk-In's Allowed: Yes. Please note that NHS requires applicants to be Salem residents and to have received a shutoff notice in order to qualify for aid. Please click here for more information. (NHS also offers rental & water assistance; please see their website for details.) We always recommend calling ahead to ensure funds are available. If leaving a message, remember to leave your name, phone number, utility company & account number, and any shutoff/disconnect notices received. About Northwest Human Services, Inc.: Northwest Human Services has been providing residents of Marion and Polk counties with comprehensive medical, dental, mental health and social services for over 45 years. Our programs are integrated and designed to help support for those in our community who need it most. Walk-In's Allowed: Yes. If you call in advance, remember when leaving a message to include your full name, utility company name, utility account number and any disconnect or shut-off notices that are pending on your account. About The Salvation Army - Dallas: The Salvation Army of Salem (TSA-Salem) serves low-income residents in Marion and Polk Counties. About The Salvation Army - Salem: The Salvation Army of Salem (TSA-Salem) serves low-income residents in Marion and Polk Counties. Walk-In's Allowed: No. CAPECO provides emergency assistance only. Call to make an appointment between Nov 1 and March 31. When calling, remember when leaving a message to include your full name, utility company name, utility account number and any disconnect or shut-off notices that are pending on your account. About Community Action Program of East Central Oregon: Since 1987, Community Action Program of East Central Oregon (CAPECO) has been assisting people of Umatilla, Morrow, Gilliam and Wheeler Counties to become independent, healthy and safe. Walk-In's Allowed: No walk-ins. Call and leave a message if no answer; remember when leaving a message to include your full name, utility name, utility account number and any disconnect or shut-off notices that are pending your account. Depending on time of year and available funding, response time may take up to 5-7 business days. Appointment Required: Yes; please call to schedule an appointment. About Human Solutions, Inc. - Portland: The mission of Human Solutions is to help low-income and homeless families and individuals gain self-sufficiency by providing affordable housing, family support services, job readiness training and economic development opportunities. Appointment Required: Yes; please call to set up an appointment. About Human Solutions, Inc. - Rockwood: The mission of Human Solutions is to help low-income and homeless families and individuals gain self-sufficiency by providing affordable housing, family support services, job readiness training and economic development opportunities. Walk-In's Allowed: IRCO has multiple locations that serve diverse populations, including the Asian Family Center, Africa House, Senior Center, and International Language Bank. As such, we recommend calling ahead to make sure funds are available and to make sure you visit the right location. If leaving a message, remember to leave your name, phone number, utility company/account number, and any shutoff/disconnect notices you have received. About Immigrant and Refugee Community Organization (IRCO): The Immigrant and Refugee Community Organization (IRCO) supports immigrants, refugees and mainstream community members to become self-sufficient. We strive in our programming, outreach and education to foster understanding, compassion and communication between Oregon's established communities and newest arrivals. Walk-In's Allowed: Walk-ins accepted for NW Natural and Pacific Power customers Monday-Thursday from 9:00 AM - 4:00 PM. You will be scheduled for a same-day or next-day appointment from Monday-Thursday from 7:30 AM - 6:00 PM and Fridays 9:30 AM - 2:30 PM. We recommend calling ahead to see if funds are available; however, please note that Impact NW does not schedule appointments over the phone. About Impact Northwest: Impact NW is a premier provider of educational and social services in the greater Portland metro area with a mission is to help people prosper through a community of support. Walk-In's Allowed: We always recommend calling ahead to make sure funds are available. If leaving a message, please remember to include your name, phone number, utility company/account number, and any shutoff/disconnect notices you've received. About Latino Network: Latino Network's mission is to positively transform the lives of Latino youth, families, and communities throughout Portland, Oregon. Walk-In's Allowed: No. Please call to set up an appointment. If leaving a message please remember to include your full name, utility company, account number, and any disconnect or shutoff notices received. About Native American Youth and Family Center (NAYA): Founded by the community, for the community, NAYA is a family of numerous tribes and voices who are rooted in sustaining tradition and building cultural wealth. We provide culturally-specific programs and services that guide our people in the direction of personal success and balance through cultural empowerment. Our continuum of lifetime services create a wraparound, holistic healthy environment that is Youth Centered, Family Driven, Elder Guided. Walk-In's Allowed: No walk-ins; call the energy hotline for updates on availability. Remember when leaving a message to include your full name, utility company name, utility account number and any disconnect or shut-off notices that are pending your account. About Self Enhancement Inc (SEI) Community & Family Programs: Self Enhancement, Inc (SEI) is dedicated to guide undeserved youth to realize their full potential. Working with schools, families, and partner community organizations, SEI provides support, guidance, and opportunities to achieve personal and academic success. This includes providing services based around youth, education, and family/community services. Walk-In's Allowed: Walk-ins allowed; call ahead to see if any funds are available. Remember when leaving a message to include your full name, utility company, utility account number and any disconnect or shut-off notices that are pending on your account. Appointment Required: No; call ahead to see if any funds are available. About SnowCap Community Charities: Since 1967, SnowCap Community Charities (SnowCap) has been working to provide food, clothing, advocacy and other services to residents of Multnomah County. Walk-In's Allowed: Walk-ins allowed for crisis situations only (Thursdays only; 10 am - 12 pm & 1 pm - 4 pm). Please call to schedule an appointment all other days. Remember when leaving a message to include your full name, utility company, utility customer number, and any shut-off/disconnect notices pending on your account. Check the website listed above for more information beginning in Fall. Email Waitlist: Phone calls preferred. About Mid-Columbia Community Action Council - The Dalles: Mid-Columbia Community Action Council (Mid-Col) works to alleviate the causes and conditions of poverty in Wasco, Hood River and Sherman Counties. Walk-In's Allowed: Call for an appointment. Remember when leaving a message to include your full name, utility company, utility customer number, and any shut-off/disconnect notices pending on your account. Check the website listed above for more information beginning in Fall. Appointment Required: Yes, please call the number above to schedule an appointment and get up to date information. About Mid-Columbia Community Action Council - Hood River: Since 1966, Mid-Columbia Community Action Council, Inc (MACCAC) has been working to alleviate the causes and conditions of poverty in Wasco, Hood River and Sheman Counties. Walk-In's Allowed: No walk-ins, and West Oregon Electric Cooperative customers only. Please call to schedule an appointment. Remember when leaving a message to include your full name, utility company name, utility customer account number, and any shut-off or disconnect notices received for your account. About St. Mary's Society of St. Vincent de Paul (West Oregon Electric Customers Only): As this program is a partnership with West Oregon Electric (WOEC), only WOEC customers are eligible to receive assistance from this agency partner. Walk-In's Allowed: Yes, walk ins welcome from 9 AM - 3 PM. Walk-In's Allowed: No walk-ins; CAPECO provides emergency assistance only. Call to make an appointment. Remember when leaving a message to include your full name, utility company name, utility account number and any disconnect or shut-off notices that are pending on your account. Appointment Required: Yes - during months of November - March. About Community Action Program of East Central Oregon - Pendleton: Since 1987, Community Action Program of East Central Oregon (CAPECO) has been serving residents of Umatilla, Morrow, Gilliam and Wheeler Counties. About Community Action Program of East Central Oregon - Hermiston: Since 1987, Community Action Program of East Central Oregon (CAPECO) has been serving residents of Umatilla, Morrow, Gilliam and Wheeler Counties. Walk-In's Allowed: No; please call ahead to set up an appointment. Remember when leaving a message to include your full name, utility account number and any disconnect or shut-off notices that are pending your account. About Community Connection of Northeast Oregon - La Grande: The mission of Community Connection of Northeast Oregon, Inc. is to advocate for and assist senior citizens, children, low-income persons, and persons with disabilities in attaining basic human needs and in becoming more self-sufficient. Walk-In's Allowed: No - please call or email Connie at connie@ccno.org to make an appointment. Remember when leaving a message to include your full name, utility company name, utility customer account number, and any shut-off/disconnect notices pending on your account. About Community Connection of Northeast Oregon - Enterprise: The mission of Community Connection of Northeast Oregon, Inc is to advocate for and assist senior citizens, children, low-income persons, and persons with disabilities in attaining basic human needs and in becoming more self-sufficient. Walk-In's Allowed: Walk-ins allowed for crisis situations only (Thursdays only; 10 am - 12 pm & 1 pm - 4 pm). In all other situations, please call to set up an appointment. Remember when leaving a message to include your full name, utility company, utility customer number, and any shut-off/disconnect notices pending on your account. Check the website listed above for more information beginning in Fall. About Mid-Columbia Community Action Council (MCCAC) - The Dalles: Formed in 1966, Mid-Columbia Community Action Council's (MCCAC) mission is to alleviate the causes and conditions of poverty that exist in Hood River, Wasco and Sherman Counties. Walk-In's Allowed: No walk-ins; call to schedule an appointment. (Mondays are best.) Funding is first-come, first-served. Remember when leaving a message to include your full name, utility name, utility account number and any disconnect or shut-off notices that are pending your account. About Care to Share: For 26 years, Care To Share (CtS) has been coordinating assistance to families and individuals of Washington County seeking emergency food and other basic needs. CtS's goal is to help people through crisis situations and to connect them with other services if continued support is needed. Appointment Required: Yes; see above. About Community Action Organization - Beaverton: Community Action leads the way to eliminate conditions of poverty and create opportunities for people and communities to thrive. About Community Action Organization - Hillsboro: Community Action Organization (CAO) leads the way to eliminate conditions of poverty and create opportunities for people of Washington County to thrive. Walk-In's Allowed: No; please call first. Clients must have a shut-off or disconnect notice from PGE; Salvation Army will determine eligibility and schedule an appointment. Remember if leaving a message to include your full name, utility company name, and utility account number. Appointment Required: Yes, please call to schedule an appointment. About The Salvation Army - Hillsboro: The Salvation Army of Hillsboro-TV Citadel (TSA-Hillsboro) serves low-income people in Washington County. Walk-In's Allowed: No. Utility assistance is allocated through interviews scheduled on the first weekday of each month; please call to make an appointment. Remember if leaving a message to include your name, phone number, utility company/account number, and any shutoff/disconnect notices received. About Society of St. Vincent dePaul - St. Matthew Conference: ​The St. Matthew Conference of St. Vincent de Paul generally focuses on the needs of the underprivileged in Hillsboro, Oregon and the surrounding areas. Walk-In's Allowed: No. CAPECO provides emergency assistance only; call to make an appointment between the months of November - March. Remember when leaving a message to include your full name, utility account number and any disconnect or shut-off notices that are pending on your account. About Community Action Program of East Central Oregon (CAPECO): Since 1987, Community Action Program of East Central Oregon (CAPECO) has been serving residents of Umatilla, Morrow, Gilliam and Wheeler Counties. Walk-In's Allowed: No walk-ins; please call ahead. Remember when leaving a message to include your full name, utility account number and any disconnect or shut-off notices that are pending on your account. About The Salvation Army - McMinnville: The Salvation Army of McMinnville (TSA-McMinnville) serves low-income people in Yamhill County. Walk-In's Allowed: No. Please call 503-687-1483 to schedule an appointment or 503-687-1480 to receive an application by mail. Remember if leaving a message to include your full name, utility company, and utility account number. Am I eligible to receive energy assistance? Households are eligible for energy assistance when their total gross income is 70 percent or less than the statewide median income as determined by the State of Oregon. Please note that this allows for a higher income than other energy assistance programs. See the chart below to determine if you qualify. How do I apply for energy assistance? Oregon Energy Fund distributes funds for energy assistance to 30+ partner agencies and nonprofits throughout Oregon. This model allows us to reach the widest number of Oregonians possible. If you are in need of utility assistance, please select your county from the drop-down menu above to see which of our partners are in your area and how to contact them. You can also call our office at 971-386-2124 for more information. Please note that our office does not provide direct assistance at this time. Payments are made directly to your fuel vendor (electric, oil, propane, wood or gas). The entire process can take up to three to six weeks, so if you're behind on your electric bill, don't wait for a shut off notice - act now. How early can I apply? Do I need a shutoff notice? We encourage you to apply for energy assistance as early as possible - don't wait until you've received a shutoff notice to act. While the amount due on your bill may not seem small, a shutoff notice will result in an even larger fee, which may prevent you from receiving the total amount of funding you need. Utility companies are also more likely to give leeway to customers who have already applied for energy assistance. My electricity has been shut off. What do I do? If your electricity has been disconnected, your utility company will likely require a down payment in order to turn the power back on. We recommend that you contact your utility provider ASAP to find out the amount due; you will need this information when applying for energy assistance. How else can I save on my home energy bill? There are many ways to save electricity, including weatherization assistance programs, energy efficient appliances, and simply lowering your home thermostat. Click here for our list of energy-saving tips. 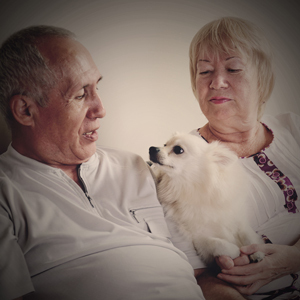 Eligibility is based on the total gross household income received by all members living in the home at the time of application (families sharing a dwelling must apply as one unit). Income includes wages, unemployment compensation, TANF payments, Social Security, SSI, pensions, VA, grants and other regular payments. Income does not include food stamps, loans, subsidies, etc. A free, confidential and anonymous service for finding other programs and resources in your community. 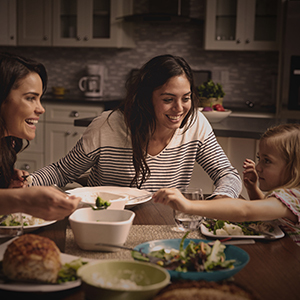 Check out some of PGE's tips on how to save on your energy bill. Community Energy Project hosts free educational workshops on weatherization techniques that can provide sustainable ways to save on your energy bill. Free supplies are also available for qualifying applicants. To register for a workshop, click the link above for the CEP calendar, then click on the appropriate down-arrow below and fill out the short registration form. Click here to learn more about CEP's Weatherization Assistance Program and their Weatherization Program for Seniors. Fix-It Fairs are free events where neighbors come together to learn simple and effective ways to save money and be healthy at home this winter. Each fair features exhibits and workshops from numerous community partners through the day. Experts will be available to talk about water and energy savings, home and personal health, food and nutrition, community resources, recycling, yard care and more. Helps people to become independent, healthy and safe. Enables Oregonians to gain housing, become self-sufficient, and achieve prosperity. A collaboration between Impact NW and Providence Health that provides assistance with housing, health insurance, food stamps, and more.